2-1/2 Gallon Portable Vinyl Water Bucket Yellow | BUDK.com - Knives & Swords At The Lowest Prices! 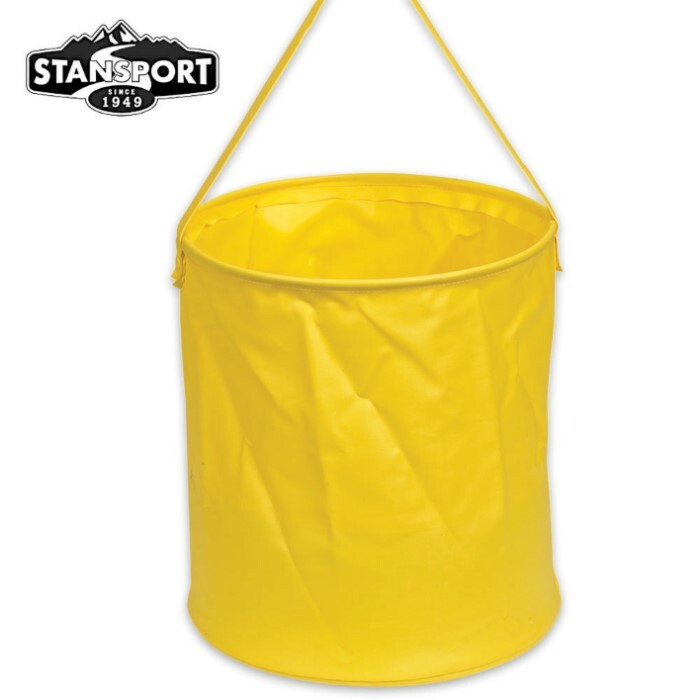 Transport water with greater ease using this 2-1/2 gallon portable water bucket. It features heavy-duty vinyl construction with electronically welded seams and a reinforced bottom to prevent leaking. The sturdy carrying handle makes it easy to carry and transport, and it folds compactly for easy storage.